On the evening of October 31, HPR dares to darken the 70-seat concert hall located in its Honolulu broadcast studios for a Halloween event with Jeff Gere and Alton Chung. These two master storytellers will be telling tales of true encounters with Pele, others about a haunted poi pounder, shark people, stones that curse, a kissing ghost, and more. “Spooky Tales” in the Atherton Studio is recommended for ages 18 and above. Costumes are optional. Reservations may be made online at www.hprtickets.org or by calling the station (955-8821) during regular business hours. Tickets are $25 general, $20 for HPR members, and $15 for students with ID; online service fees apply. The Atherton Studio is located at Hawaiʻi Public Radio, 738 Kāheka Street. Doors open at 7:00 p.m.; music begins at 7:30 p.m.
Jeff Gere was born on Halloween. He was the Drama Specialist for the City & County of Honolulu’s Parks Department, now retired. 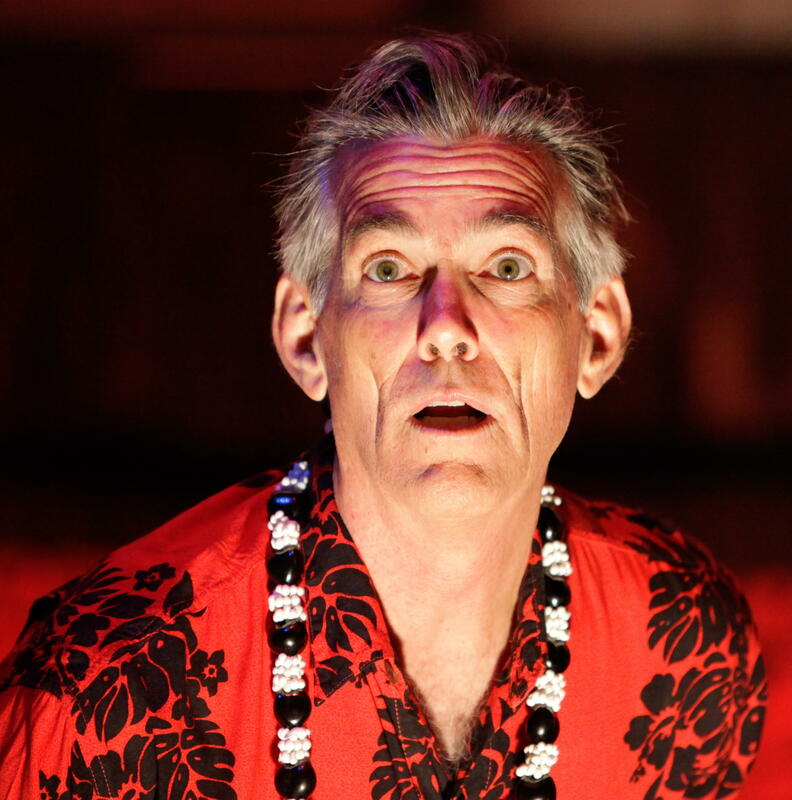 Gere founded the Talk Story Festival, Hawaiʻi's largest storytelling event, and produced and hosted it for 26 years. He tours throughout the state, and in national and international venues. Additionally, he teaches and performs with shadow puppets. 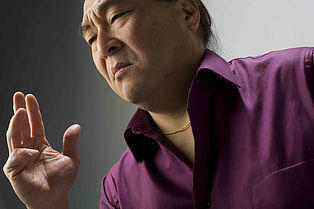 Alton Chung has performed in schools, libraries, museums, universities, and storytelling festivals across the country. Terrified of the local ghost stories in "small kid time,” it took him years to understand how important they were in shaping the culture and texture of the Hawaiʻi of his childhood. Today, Chung collects, researches, and shares strange tales which range from the mildly mysterious to those in which the shadows talk back.